The tragic event at Grenfell Tower will haunt many of us for some time. For those working in the residential property sector the fire, described even by the emergency services as “unprecedented”, raises a number of difficult questions. Much has already been written about how the cladding on this building is believed to have enabled the fire to spread on the outside, compromising the fire compartmentation of the building. We have been promised a full public inquiry to explore this subject but it will be some time before outcomes are delivered. The fire safety of all public buildings is now being urgently reviewed and hopefully this will increase the safety of the public. However, this is not a problem restricted to public buildings; it is an issue that reaches much further. 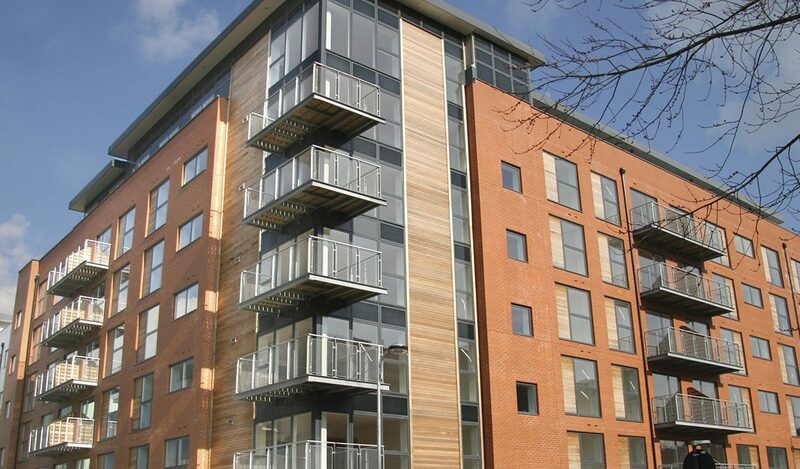 In recent years most blocks of flats have been built using a range of so-called fire retardant materials. Cladding is commonplace in modern construction. It is cheap, has excellent thermal qualities and can make a building look aesthetically pleasing. Timber framed buildings are clad, often with facades designed to look like conventional materials such as brick and render. They are easy to spot if you look carefully for the joins in large sheets of materials. The majority are likely to be made from fire retardant plastics. For many years, planning policies have allowed the widespread use of these materials and construction types as cost and thermal efficiency appear to have become more important than fire safety. This isn’t just a problem in high rise flats but across a wide range of modern residential blocks. I have been asked several times in the last few days what insurers are going to do; what can they do? Obviously they can share data about historic losses with different construction types but clearly if you use non-flammable materials then lives will not be put at so much risk. Insurers do have the opportunity to influence the market by refusing to insure buildings of certain construction. This has happened before with commercial property constructed using composite panels which were very commonly used around 20 years ago. These panels had high thermal efficiency from their plastic cores and made construction cheaper. However, when their fire resistance was overcome they burned from the inside out. By refusing to insure certain of these panels, insurers forced their customers to stop using them in favour of more fire resistant alternatives. The problem for block insurance is that most freeholders and the managing agents acting for them simply don’t understand the materials used in the construction or renovation of their block. If insurers start asking more questions and refusing to insure certain types of construction, there is the danger that claims will not be paid or that payments will be reduced under the provisions of the Insurance Act as freeholders will not be able to make appropriate disclosure when placing their insurance. Undoubtedly such an approach would save lives in the future but at the risk of putting many flat owners in financial hardship. My personal view is that the real failure lies with the UK fire regulations which have not kept pace with modern building materials. We all hate red tape but when red tape saves lives there can be no argument. The time for action is now and our fire regulations need an urgent review. There are a number of things managing agents can do to tighten up safety in the blocks they manage. Now is the time to take a close look at your fire risk assessments, particularly in blocks of modern construction with cladding. The actions set out in these documents need to be responsible and proportionate. If blocks genuinely have the fire separation for a stay-put policy to be in place then residents need to understand and have confidence in that assessment. There is a significant danger that lives could be threatened by inappropriate and potentially dangerous mass-evacuation. In light of Grenfell Tower, a residents meeting to explain the reasoning behind the policy and to take questions from those with individual concerns may be appropriate. Of course many flat owners and tenants will be worried and may be wondering what they can do to protect their safety. An easy first step is to make sure they have working smoke detectors with fresh batteries. Residents should never endanger their lives by attempting to fight a fire they are not capable of extinguishing. They should understand how to operate any fire extinguishers or fire blankets. The most important thing for them is to have a family evacuation plan and rehearse it ensuring all the family know what to do. Now is the time to remind residents of the importance of keeping communal areas free of obstructions. If the plan is for them to evacuate then they should do so immediately leaving their possessions behind. Despite the advice to leave possessions I would personally grab my phone as it can act as a torch and be used to contact the authorities but only if I could safely and quickly do so. If lasting lessons are to be learnt from this recent tragedy it has to be that fire safety in flats needs to be urgently updated. I have grave concerns around the emerging build-to-rent sector, fearing that the next disaster could occur in one of these blocks. These are likely to be timber frame buildings with so-called fire retardant and thermally efficient cladding, built to a budget with the maximum number of floors permitted under current regulations in order to ensure maximum return on investment. Many of the UK’s large insurers already take fire safety seriously when they reinstate damaged buildings by using more fire retardant materials than those with which they were originally constructed. Only a few days ago one major insurer identified a block they recently reinstated to its original specification which meets current fire safety requirements. Following the tragic events at Grenfell Tower that insurer has decided to replace some of the materials used in the reinstatement with materials that have a better fire safety rating. I can only applaud this action which the insurer in question is about to conduct completely at its own expense. This should be an example to us all. For anyone managing blocks clad in what they suspect may be a similar product to that at Grenfell Tower, help is at hand from the Department of Communities and Local Government (DCLG) which is offering free safety checks. For more information on this, click here.